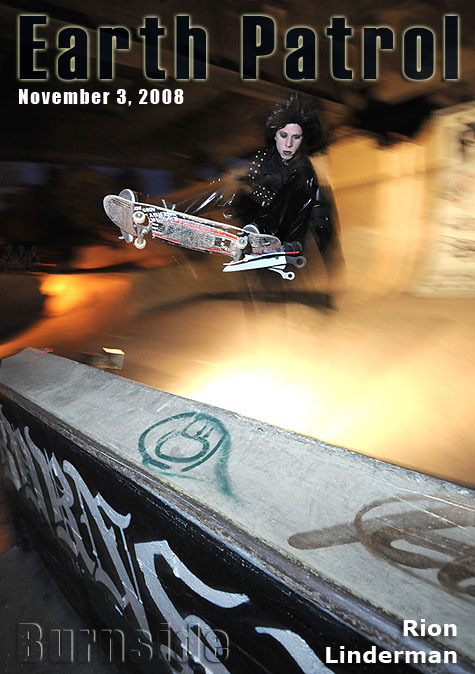 Alice Cooper made the anthem and the Burnside crew made the shrine. 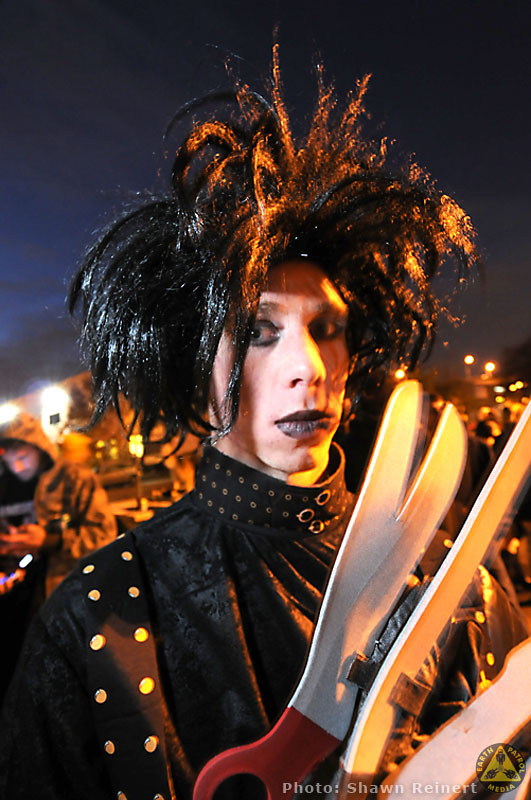 Check out this week’s Monday Cover skater, Rion “Scissorhands” Linderman, as he liens one in leather during the Halloween anniversary celebration at Burnside. That’s one great costume for trimming bush(es). 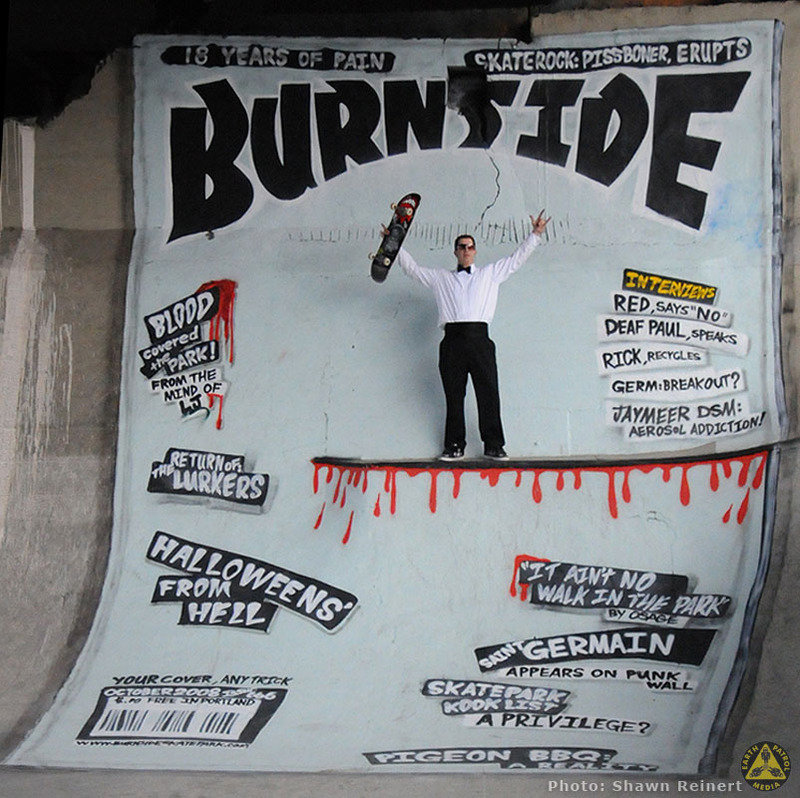 Also, a big thanks to Shawn Reinert for the great Burnside photos. See more photos after the turn. Congratulations Rion and Happy 18th Burnside!